The Delegation of the Ivory Coast, led by the Minister of Tourism Mr. Roger Kacou, participated at the 50th edition of the ITB Berlin 2016. The Cote d’Ivoire Tourism and the National Office for Tourism, also took part in this important conference. ITB Berlin 2016 is considered to be the world’s leading travel trade show as well as the most successful platform for the worldwide tourist industry. The first event took place in 1966 and today visitors are often more than 114,000 and there are more than 180 countries from around the world represented. Tourism in the Ivory Coast has developed considerably since 1970. Tourists are mostly attracted by the natural reserves since the Ivory Coast has three important wildlife conservation areas: the Mount Nimba Nature Reserve, the Tai National Park and the Comoé National Park. During the ITB Berlin 2016, the Ivory Coast illustrated the strengths and potentials of its territory, by highlighting the importance of its parks and reserves. Mr. Kacou mentioned “green tourism”, a tourism that focuses on nature and the environment, with the aim of promoting the Ivory Coast as one of the main holiday destinations for German tourists. M. Bini Ouattare, PDG de Luxe Voyages, introduced a construction project of 25 Bungalows in the Comoé National Parc. The Ivorian Delegation also affirmed that some actions will be undertaken to promote the conservation and protection of wildlife. In fact, during the civil war, many natural areas were damaged by the passage of militias and this had a negative impact on the development of tourism. 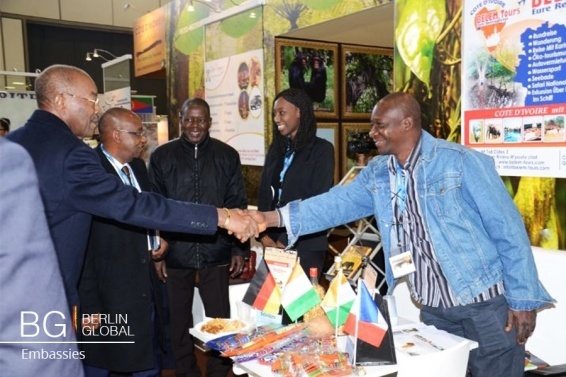 It is also important to mention the forum Africa Verein, which was held during the ITB Berlin 2016. On this occasion, the German and African delegations discussed the tourism investments of German companies in Africa and the Ivorian Delegation invited Germany to invest more in the territory so as to foster growth of the tourist industry in the Ivory Coast. 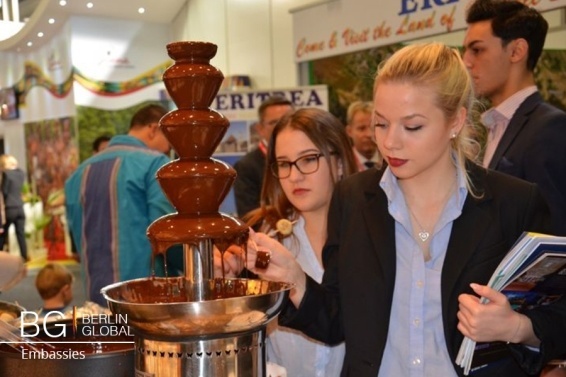 Finally, during the ITB Berlin 2016, visitors had the chance to taste the delicious Ivorian cocoa, which is one of the most famous products from the Ivory Coast.